When Wen Jiao was little, her father passed away. There are three kids in her family need go to school. They are raised just by her mother. They live on farming. Wen Jiao is very healthy and the mental state is also very good. Her wish is that all her family is in good health. 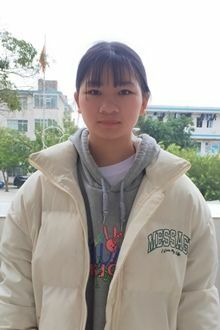 Wen Jiao's family live in poor condition, in order to make her can continue her school education, we decide to bring her into our program. We hope she can receive a good education through family preservation program. Tell your friends Wen needs a sponsor!